Karma, the Sanskrit term for ‘action’, refers to cause and effect, or action-reaction. The karma that our spiritual selves embody and encounter often fall into the categories of ‘good’ or ‘bad’, and these may be gained through actions performed throughout our current and past lives. It is both good and bad karma that consequently accumulate to become what is known as karmic debt. Yes, our karmic debt does not refer solely to the ‘bad’ things we have done, but also the good, as it reflects what energy we have set forth into the universe. In fact, some believe it is best to discard the descriptors of ‘good’ and ‘bad’ entirely in discussions of karmic debt, with the argument that the spirit world considers one’s actions relative, placing greater emphasis on the life lessons we have learned and where our actions have led us. 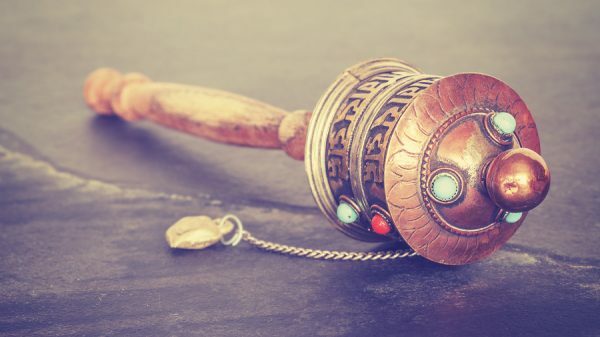 As indicated above, the concept of karma is deeply connected to that of reincarnation – that is, the spiritual belief that after death, our souls continue to reincarnate into new bodies. It is believed that the accumulation of our karma is a debt that follows us throughout our lifetimes, and although this implication of predetermination leads many to feel discouraged about what they can do in their current lifetimes to restore balance to their karmic energy, there is still much to be gained through proactive self-effort. Understanding the energy you set forth into the universe through your actions can be important not only in order to balance your karmic debt, but also as a means of achieving a state of higher consciousness. One of the first steps you can take to discover and thereby to understand your karma is through self-reflection. While self-reflection can tie into many mindful activities such as meditation and yoga, it can also refer to deeper means of reflection, such as examining patterns within your life as they relate to what decisions you make. These can be patterns relating to your relationships with others, adversities you may have faced in your childhood or within your family environment, the financial decisions you make (i.e. how you spend your money, whether greedily, frugally, or somewhere in-between), as well as other ways in which you may be sabotaging either your own success or that of others. However, in addition to engaging in self-reflection, there exists another sort of shortcut method you may consider in identifying the extent or gravity of your karmic debt: numerology. In numerology, every number has a specific meaning, and this extends to an individual’s karmic debt. 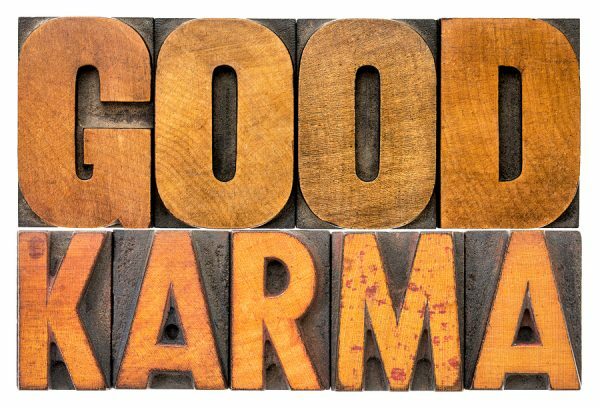 In determining your karmic number, you can immediately gain insight into how you may have accumulated karma in your past lives. Your karmic debt number indicates what lessons you may have learned, and what values you held as a person materially and spiritually. One method of determining your karmic number – and subsequently, your karmic number association – through numerology is by subtracting one from your date of birth. For example, those who were born on the 19th day of any month would have a karmic number of 18. The numerals of both the month and the year are irrelevant within this calculation. On numerology charts, the numbers 13, 14, 16, and 19 have also been identified by numerologists as particularly significant when determining one’s karmic debt number. Thorough descriptions of the meanings assigned to these numbers can be read here. There are several ways in which individuals describe managing their karmic debt – by means of balancing your karmic debt, repaying it, clearing it, restoring good karma, as well as overcoming it. While you cannot change the actions that you took in your past lives, or even those already come and gone in your current lifetime, there are still ways in which you can restore balance to your karma. Below are a few ideas that you may feel free to explore to clear or restore balance to your own karma. If you consider yourself a spiritual person, you likely already have an idea of what it might mean to try and live a mindful existence. The concept of mindfulness has significant ties to Buddhist traditions and philosophy, and it emphasizes being conscious of the present moment and making efforts to find your happiness within it. As it relates to karma, living mindfully pertains to focusing more attention on how you act in the present moment, and how you can seek or accept life lessons you encounter in the present moment. This is in direct opposition to a tendency many individuals – especially those feeling burdened by guilt or anxiety – to wrack one’s brain about what has happened in the past or what is to come in the future. Making efforts to be mindful can help you to make good choices in the moment by opening your consciousness as it pertains to your current circumstances. Going out of your way to perform notable acts of kindness can also help you ‘repay’ some of your karmic debt, as it can counteract prior karma. If you have deeper concerns regarding your karmic struggles, you can also consult a psychic. A psychic may be able to access and relay messages from the spiritual world that you are unable to access on your own as they pertain to your karma. They can also provide you with personalized recommendations on how to balance your debt, or help you further explore your numerology. Follow this link if you want to see my favorite psychic networks.